Whether you call it the bodega, Papi store, 7-11, Wawa, Cumberland Farms, Turkey Hill, etc., BigBite is featuring those corner store snacks we grew up on and the ones we are growing up on now. Hey shawty, it must be your birthday, because you can’t buy many things for 50¢ these days. I find it amazing that I’ve been eating Chifles plantain chips for over 30 years! Aside from their gluten free tagline, Chifles packaging hasn’t changed much since the early 80’s ( like my baby face.) Pronounced chief-les, this family business has been around for almost 50 years. Potassium rich, containing vitamins A and C, these chips are a natural and healthier alternative to chemically enhanced potato chips and snacks. Chifles flavors include: salted, unsalted, garlic, spicy Caribbean, maduro (sweet,) or Mojo Mama seasonings. For those that cannot find Chifles plantain chips in their corner store, BigBite has you covered with a recipe. 1. Cut off both ends of the plantains, and remove peel/skin. You may need to slice the peel open lengthwise with a knife. Work carefully because plantains can stain skin and clothes. 2. Slice plantains crosswise into very thin slices. about 1-2 mm. It’s fun to use a mandoline for this, but a sharp knife works great too. 3. Heat 1-2 inches of oil in a saucepan on medium-high heat. 4. When the oil is hot (about 360 degrees), fry several slices of plantain at a time until golden, 2-3 minutes. 5. Remove and drain on paper towels. Season with salt to taste. Are you going to a Super Bowl party this weekend? Are you only going so that you can grub, drink and secretly be entertained by the puppy bowl (which will feature Key Board Cat and a sideline of cheer-leading penguins)? Were you asked to bring something and are stuck and in need of a quick last minute ideas? Look no further, here are a few delicious, simple and cheap side dishes that will wow your super bowl buddies even more than those Seahawk or Bronco dudes. I don’t know what it is about brie, but people love this creamy and salty hunk of funky cheese. You can bring brie with a side of rocks to a party, and people will still love you. -Cut bread into thick Round slices (for dipping). Spread a dab of butter atop of each slice and place on a baking tray. -In a bake-friendly dish, add almonds and drizzle with olive oil. -Bake bread and almonds together for 8-10 minutes, until almond turn a light golden brown, and bread crisps. Remove from oven. -Remove rind from brie wedge (optional), and cut it into four slices. -In another bake-friendly dipping dish, add a layer of brie, pressing it down to cover the whole bottom of this dish. Next, drizzle honey an top of the brie, followed by a dash of almonds. Repeat until all ingredients are used. 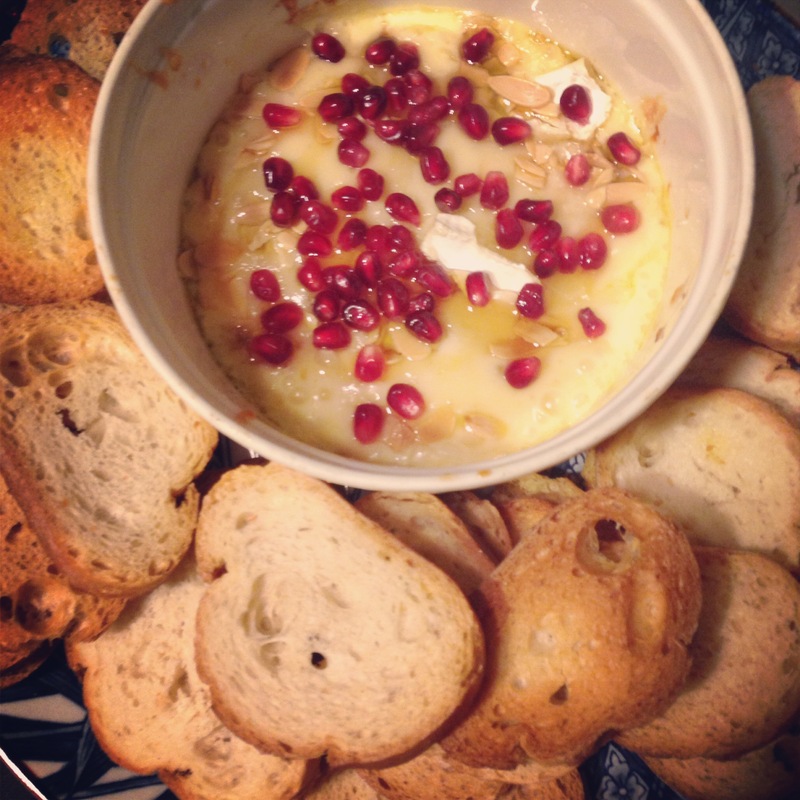 -Add brie dipping dish into oven for 20 minutes or until desired gooeyness. -Garnish with small pieces of fruit. Use bread as dipping devise. -Lastly, show off and do Da Dip dance. In the spirit of football season, you need wings or something that taste like wings. Save money and simply go with a spicy buffalo chicken dip! -Add all of these ingredients into a crockpot and cook for 3 hours or until dip is soft and dip-able. This is a simple recipe that can be baked before heading to your Super Bowl headquarters. Using pre-made pie crusts work, but won’t be as delicious! -Pull or cut mozzarella into small pieces and set aside. -On a clean and flat surface, dust the flour, then add pizza dough. Roll out with a rolling pin (or with a clean baking spray bottle). Roll out to size of whatever baking dish/pan you wish to use. We use a squared cookie baking tray. -As you are rolling out the dough, keep dusting with flour so dough is not sticky. -Once at desired and even size, add pesto. 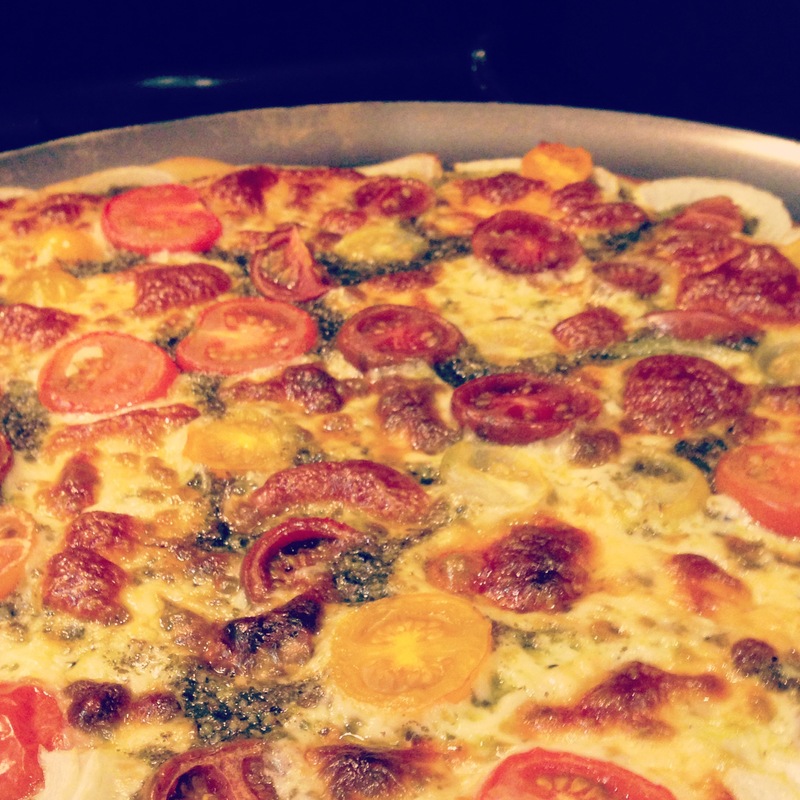 Top with cheese, tomatoes and onions. The onions will crisp and add a nice crunch, once baked. -Bake pie for 25-30 minutes. -Donzo! Slice it, eat it, and share with your vegetarian friends. Want to really impress your friends? 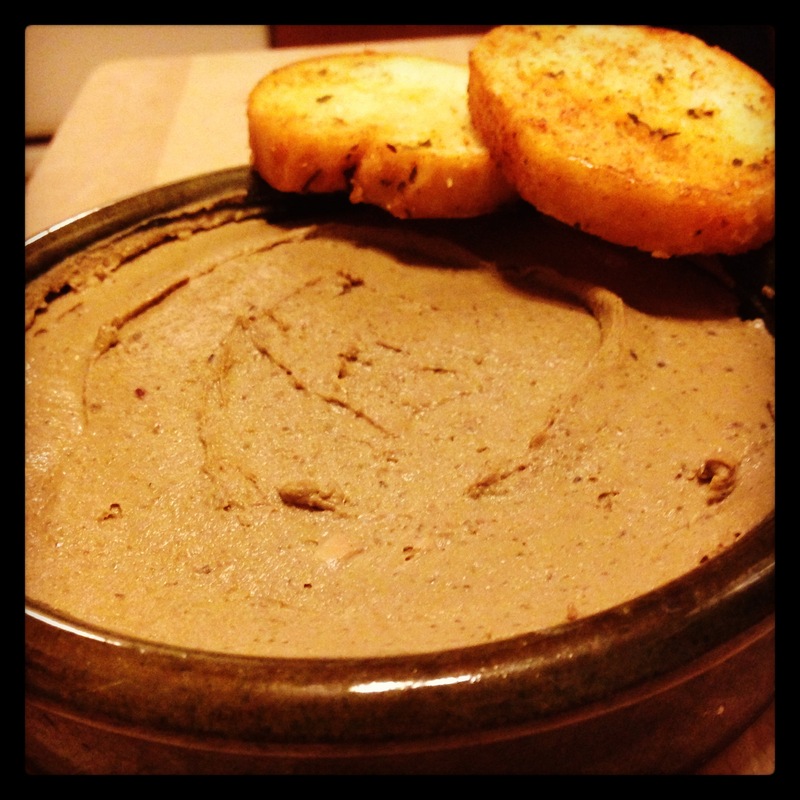 Make this simple and tasty pate. I mean, who brings pate’s to Super Bowl parties??? YOU DO! -Trim any fat or connective tissue from the livers and discard. – Add shallots and sauté for 1 minute. Then, add the liver until browned. Add a dash of salt. -Once livers have browned, add the capers, thyme, garlic, and anchovy paste, and sauté for a few more minute. -Take the pan off the heat and add the brandy. (Be careful with the small flames that this combination creates) Turn the heat to high and boil down the brandy to the consistency of syrup, about 1-2 minutes. Turn off heat and allow the mixture to cool. -Put the cooled mixture into a food processor and slowly starting combining. Add a dab of butter and the cream until it is completely puréed. – Pack the pâté into ramekins or a small bowl, cover and refrigerate for at least an hour before eating. -Serve spread on crackers or baguette slices. Salsa’s green-headed step-child never gets any play. This is surely one of the most underrated salsa’s ever, and super easy to make. Skip pico de gallo or salsa dips. Go Green. -Preheat oven to 400 degrees F.
-Remove husks from tomatillos and rinse to remove sticky residue. -Cut tomatillos in half and place them face-down on roasting pan. Add garlic cloves, onion and jalepeno to the pan and place in the oven. -Roast for 15 to 20 minutes, until they release a goodly amount of liquid and the tops of the tomatillos begin to burn. Remove pan from the oven. – Add all roasted ingredients and juices to a blender with the cilantro and lime juice. Blend well until it turns into a watery sauce. -Let cool and serve with almost anything. Yeah, we know BigBite is a tad late presenting our first meal that’ll bring us a prosperous year, but in all actuality, we are giving yall a head start for next year. Eating pork on New Year’s is considered good luck because pigs root forward when searching for food and don’t look back, signifying progress. On the other foot, BigBite wishes you the best of luck if you ate chicken. Chickens are considered foul because they scratch backwards representing setbacks. Matter of fact, if you don’t want your luck to fly away next year, stay clear of anything with wings – except Wing King. If you did eat fowl, we hope it was delicious and we’ll remind you at the end of December of how not to start off twenty fifteen. These trotters may look unappealing, but once your brain gets past the appearance, pig’s feet are simply delightful! Full of these bony pig knuckle thingies, eating them are also a lot of fun. The oh-so-tender fatty meat drips off, and you’ll love hearing the “clang” sound when you spit the bones back into the bowl. It’s kind of hard to describe the texture of the meat, but if one could eat heaven, I imagine it would feel exactly like a foot in my mouth. In the states, one can generally find pigs feet on a southern food menu, and raw ones in almost any grocery store. BigBite recommends you visit a butcher (we got our “organic” hoofs from Giunta’s in Reading Terminal.) The unenlightened foodie may shy away, regarding them as pig scraps, offal, or “slave food”, however many European and Asian cultures (pig foot pho anyone?) have their own take on the hog’s paws and regard them as a delicacy. We could go on and on like Gump’s friend, Bubba, about the different ways to cook pigs feet: pickled, BBQ, fried, pied, jellied, etc., etc., but today we are going to present a simple way to stew them in a slow cooker. 5lbs of pigs feet have the butcher slice the feet down the middle lengthwise, twice width wise, and discard the gnarly toes. 2. In a large pot of water, boil dem feets. The blood and bone marrow will produce a foamy scum at the top of the water. Skim off the scum and rinse feet in water, refill pot, and repeat. Now the feet are ready for the slow cooker! 3. Line the bottom of the slow cooker with the fiesta: onions, tomatoes, garlic, and peppers. Sprinkle black pepper and drizzle with olive oil. 4. Place the feet on top of the fiesta, fill the slow cooker halfway with apple cider vinegar, and the rest with enough water to cover the feet. 5. Cook on high for about 5 hrs or until the the succulent-ness drips off the bone. 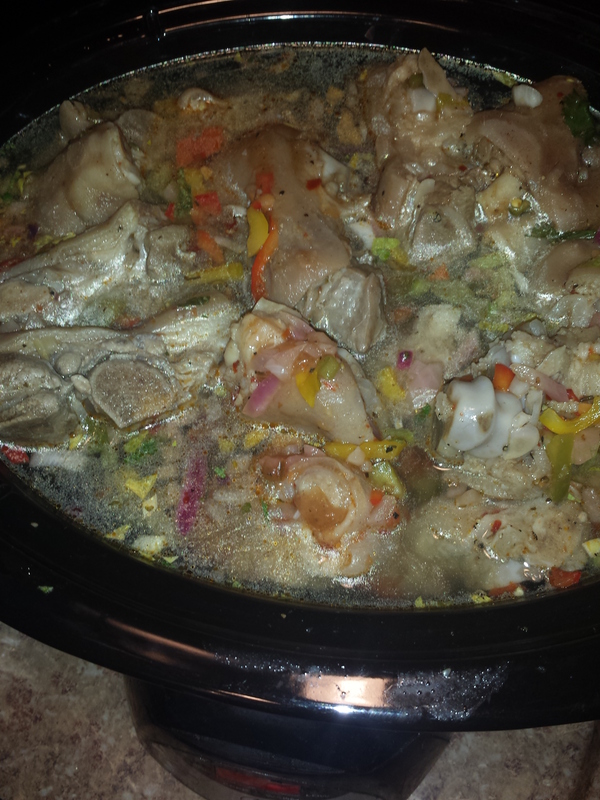 There you have the party in your mouth aka Pigs Feet Fiesta AYE YI YI YI YI YI YI YI YI YIIIIIIII! Top off with more vinegar and hot sauce. 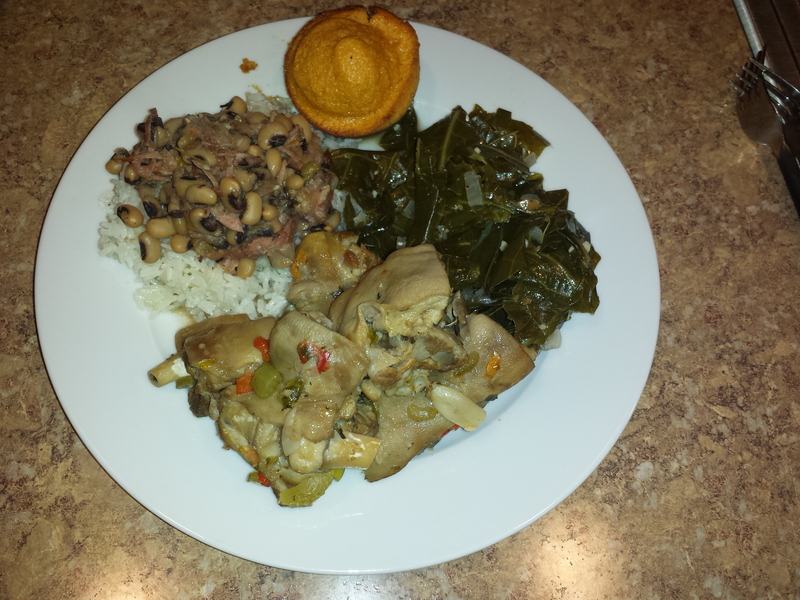 Enjoy your feet with other traditional good luck foods like black eye peas, greens (collard, kale, or mustard) and cornbread. In honor of our first annual Halloween Bash on Nov. 2nd, we are sharing a week-long film food series highlighting spooky recipes that are inspired by our favorite Halloween movies. Remember when we all fell for this story and how we all thought that this was “found footage” from a group of amateur filmmakers?? We do! Today, we highlight 1999’s chilling horror film The Blair Witch Project. To keep it themed this recipe was inspired by the known neighbors of the woods…rabbit! We introduce the HARE Witch Project! 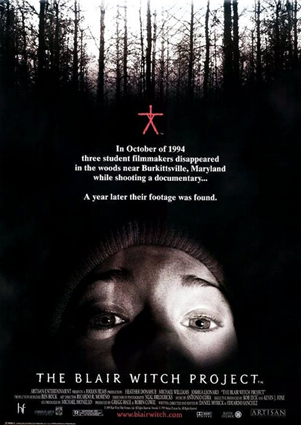 Synopsis: Three film students travel to Maryland to make a student film about a local urban legend… The Blair Witch. The three went into the woods on a two day hike to find the Blair Witch, and never came back. One year later, the student’s film and video was found in the woods. The footage was compiled and made into a movie. The Blair Witch Project. Season the rabbit with salt, pepper and garlic powder. Chop three cloves of garlic into larger pieces and mix with the lemon juice, half of the rosemary and half of the garlic olive oil. Pour onto the rabbit blending marinade thoroughly. Cover and refrigerate overnight, turning occasionally. Preheat oven to 350 degrees. Place potatoes in a separate bowl. Add garlic olive oil, salt, pepper, garlic powder and rosemary. Toss the potatoes so that they are coated and won’t stick to the pan. 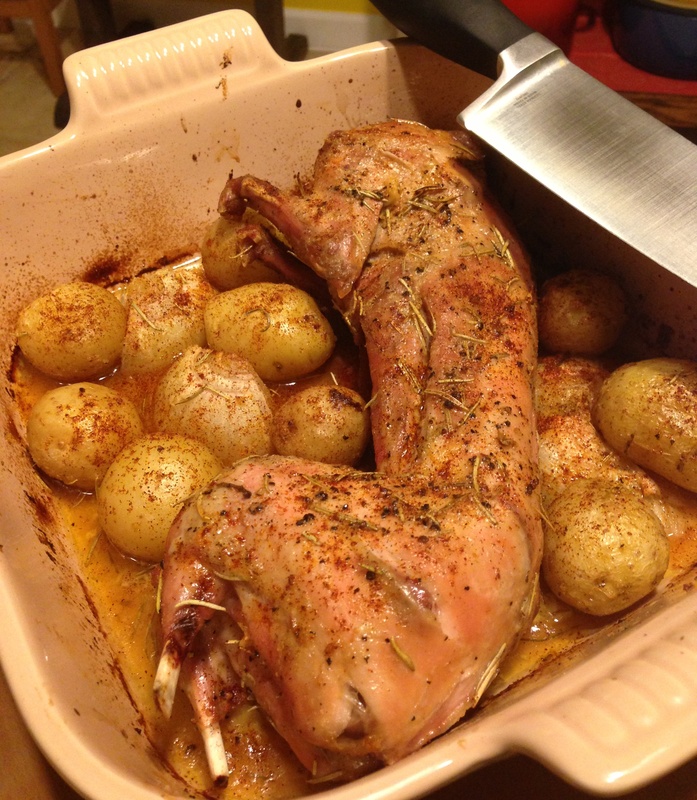 Place the rabbit in a roasting pan and pour on the marinade. Cut remaining garlic cloves into fours and stuff the rabbit with the garlic pieces. Cut the butter in half and place it on the two ends of the rabbit for a browning effect. Add the wine to the pan. Place the seasoned potatoes and an onion (which should be cute in quarters) around the rabbit and sprinkle a dash of lemon juice. Cover the rabbit with a piece of foil. Roast for 25 minutes then remove the foil. Roast for another 25 minutes, or until tender and lightly browned. Enjoy your Hare Witch project. 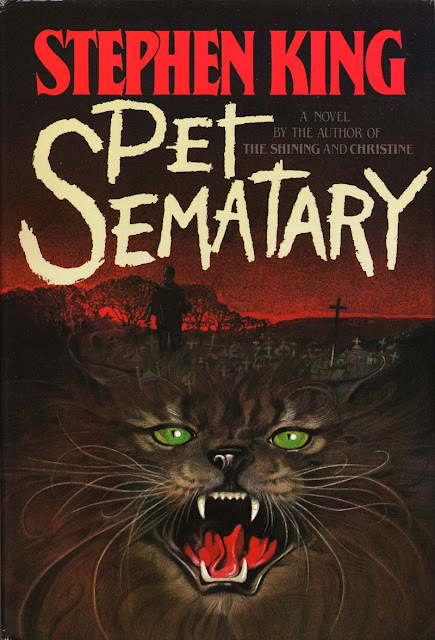 This pet horror classic is a memorable one. A parent would do anything for his child, but bring them back to life?? Only Stephen King could master this story in the Pet Sematary. But can Stephen create this SematarIYAKI?? Synopsis: After moving into their new home the Creed family’s cat is killed after wondering onto the highway. An elderly neighbor shows the father, to an isolated hill behind the local Pet Cemetery and instructs him to bury the deceased feline there. Not long after the cat reappears at the Creed home, only he is not the same. The docile cat is now vicious and destructive. When their youngest son meets with a fatal accident, the distraught fatherburies him in the same location hoping to revive him. Unfortunately he unleashes far more than he had bargained for. 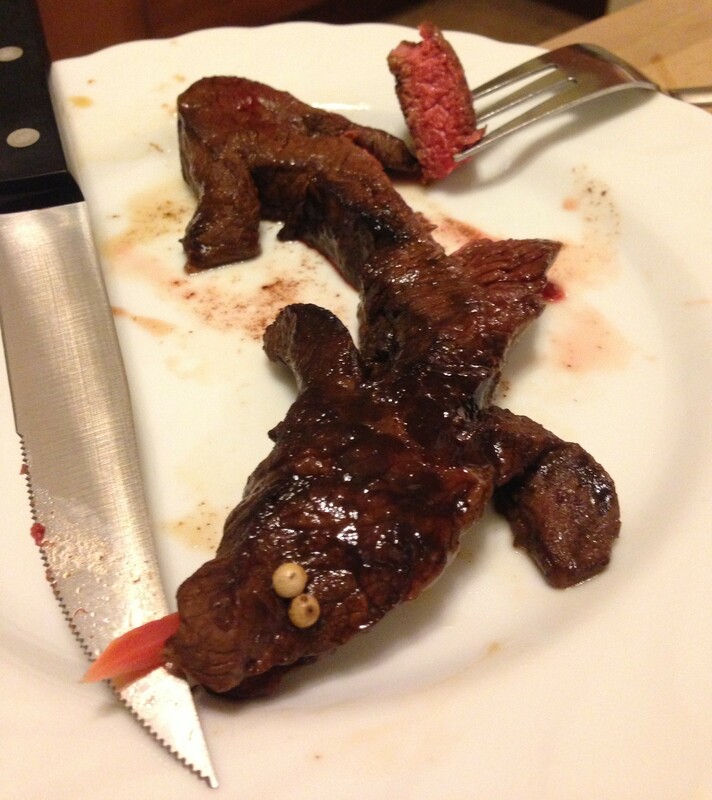 Mix ingredients, marinate beef for 1 hour. Preheat oven to 375 degrees, bake on foil lined pan about 15-20 min. Play with your food; accessorizes; then eat! *Recipe brought to you by BigBite friends, Jess & Kap! What’s creepier than monsters, zombies, and wolves? Little farm kids with weapons. 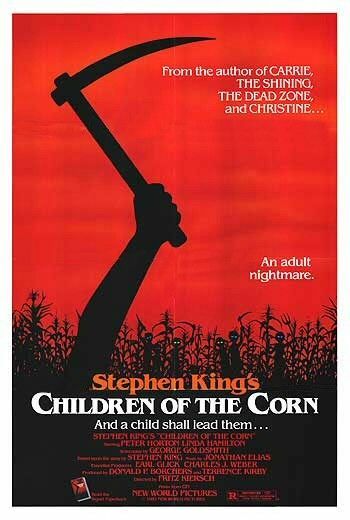 Brought to you by horror genius, Stephen King, The Children of The Corn is an instant horror classic that makes you rethink baby-sitting your cousins in central PA.
Synopsis: A boy preacher named Isaac goes to a town in Nebraska called Gatlin and gets all the children to murder every adult in town. A young couple have a murder to report and they go to the nearest town (Gatlin) to seek help but the town seems deserted. They are soon trapped in Gatlin with little chance of getting out alive. Preheat oven to 325 and thoroughly grease/flour pan. Pour prepared cornbread mix into mini muffin/cupcake pan about halfway in each cup. 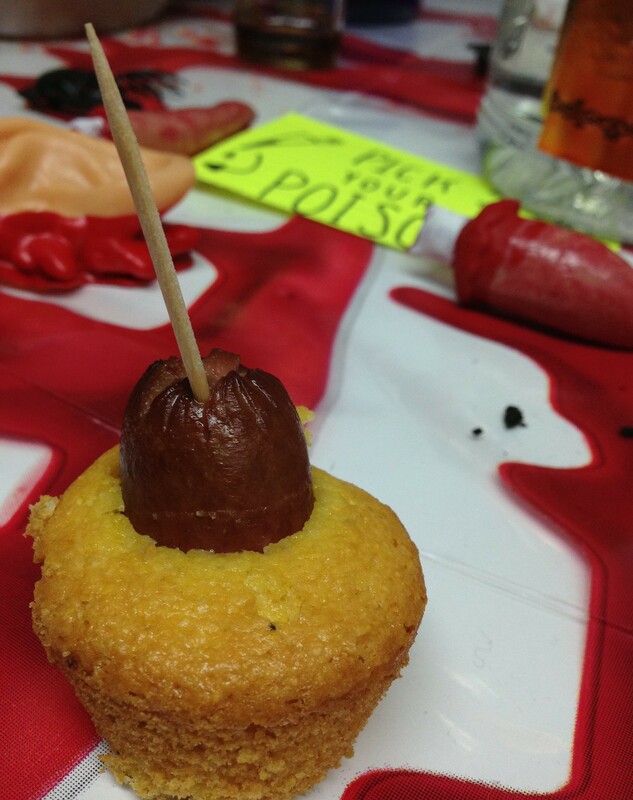 Add hotdog piece so that it’s standing up vertically in each cup in the center of the cornbread mixture. Bake until cornbread mix is set and golden, about 45 min depending on your oven. This recipe comes from what Ja-Rule would describe as…MUUURDAAA!!! One of many notable scenes from Stanley Kubrick’s The Shining is when little possessed Danny goes on a red lipstick graffiti rampage – writing the word “REDRUM” in his mothers bedroom, while also creepily chanting the word. Soon after, she realizes that her son is writing the word “Murder” backwards. 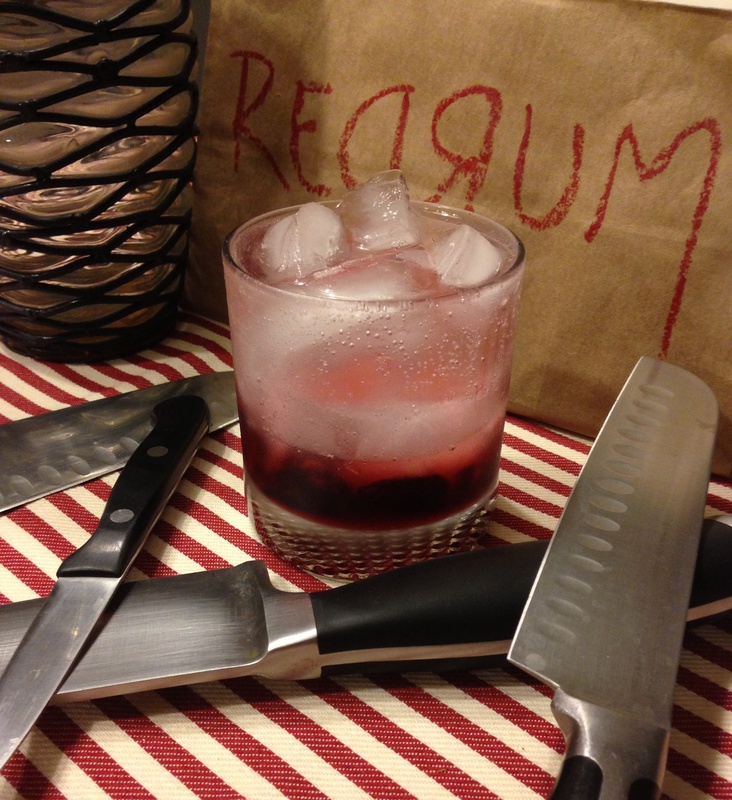 Because of this twisted, creepy scene we were inspired to make a “REDRUM” drink, simply called Red Rum. 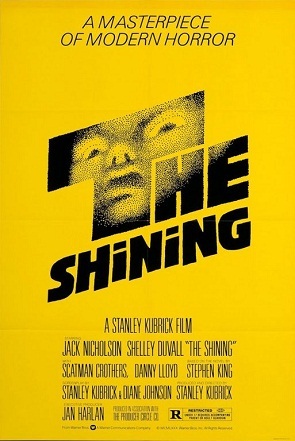 Synopsis: A man, his son and wife become the winter caretakers of an isolated hotel where the son sees disturbing visions of the hotel’s past using a telepathic gift known as “The Shining”. The father is underway in a writing project when he slowly slips into insanity as a result of cabin fever and former guests of the hotel’s ghosts. After being convinced by a waiter’s ghost to “correct” the family, Jack goes completely insane. The only thing that can save Danny and his mother is “The Shining”. In a rocks glass, add cherries and muddle until juiced. Pack in ice tightly. Add a shot of Don Q rum, followed by the Sprite. Squeeze lime and stir a bit. Top drink with a dash of grenadine. Drink! 1. Danny, the son, was “a phenomenon,” with an “astonishing face and control of himself.” He was chosen through a search of thousands of children; he was six years old and had no acting experience. He also came up with the idea to hold up his finger and talk to it. 2. The snow outside was either pulverized Styrofoam (falling snow) or dairy salt (on the ground). Over 900 tons of salt was used.